Home Markets What Are Baby Boomers Looking For In The Marketplace? While the term baby boomer has been around for ages, some businesses are still at a loss as to what that term really means. For most, baby boomer refers to those who were born between the years 1946 and 1964, who have now reached the ages of 49-67 and are approximately 76 million strong. The other interesting thing to know about baby boomers is that this demographic is not only one of the largest, it is also one of the wealthiest, controlling approximately 75 percent of the wealth in the United States. The baby boomer generation is one that has always prided themselves on their ability to be self sustaining and independent. This is not something that most are willing to give up as they begin to advance in years. The good news is that many retailers have recognized this fierce sense of independence and have been working hard to offer the Better Home Products this generation demands. Baby boomers are looking for products that not only bring added comfort to everyday tasks such as cooking, cleaning, reading and personal hygiene, but are also looking for products designed to entertain and to keep them in top physical shape. Some of the top sellers for baby boomers include new technology gadgets, especially those that include brain games, products designed to provide comfort during routine tasks such as wellness mats, ergonomically correct home products, sleep assistive devices, and healthcare and fitness items. 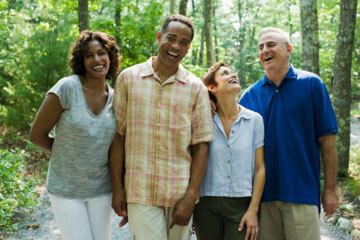 For baby boomers, the emphasis is placed on making the world a more age-friendly place. They are looking for items that will help them perform better in every area of their lives. For most, they simply want to slow the aging process and live life to the fullest and are willing to spend money on the products that are being developed to help them do just that. However, finding these products isn’t as easy as it might seem. Where to Shop for Baby Boomer Products? There are a number of retail and online outlets that carry items specifically to address the needs of baby boomers. And, as time goes on, there are more and more retailers opening shop that are dedicated to catering to the needs of baby boomers only. These boutique shops specialize in sourcing and offering the best baby boomer-friendly products. Of course, customers of all age groups are welcome to shop, baby boomers are taking notice of these retailers as they offer a one-stop shop for many of the products they are looking for in order to improve their quality of life. The main benefit of shopping at boutiques that only offer baby boomer focused products is that retailers can spend the time sourcing the best products. This helps save you time and money in that you don’t have to drive all over town to find the product you are looking for and there is no longer any wasted money on products that simply don’t live up to their hype. When it comes to finding Better Home Products for baby boomers, there is no better place to Shop for Baby Boomer Products than the Boom Shop!